The maison’s 65th vintage shows strength and freshnness. 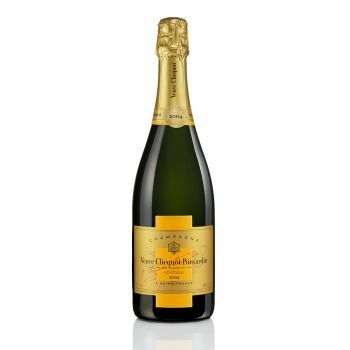 The first in nearly 50 years to contain a proportion of oak-aged wine, Veuve Clicquot Vintage Brut 2008 is deep, lively and well-structured. With a high concentration of pinot noir, the 2008 vintage reflects that year’s ideal growing and harvesting conditions. chef de cave Dominique Demarville’s first solo vintage is intense and fresh.